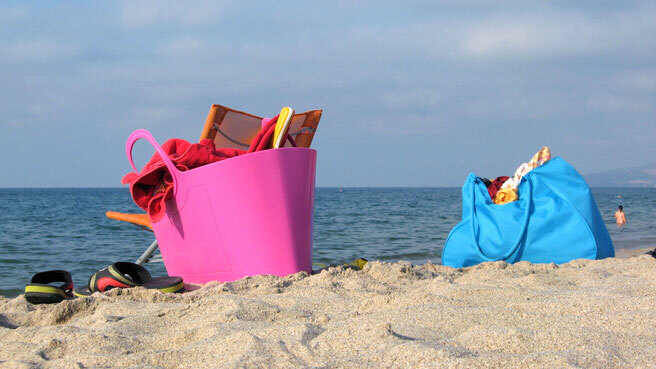 Looking for a list of what to bring to the beach with your baby? We’ll try to help you pack light. 1. Reusable grocery bag in addition to your regular diaper bag. Fill the grocery bag with extras: diapers, clothes, wipes, food, bottles/cups, etc. This way if you make a short stop, you can still use your diaper bag. It also makes cleaning up easier after you get home and you don’t have to unpack it right away. 2. Ziploc bags for things that can’t get sandy: Bottles, cups and valuables like your phone. 3. A few sand toys. A baby doesn’t really need that many. Put them in a mesh bag, then put the mesh bag in a plastic grocery bag to catch the sand. 4. A sunscreen stick with zinc oxide. Zinc provides a physical barrier so is effective right away. A stick goes on easy and doesn’t get your hands greasy. I carry a pocket-size one in my regular diaper bag. 5. An umbrella or portable sun shade. Baby might even take a nap under there if you’re lucky. Then, of course, you’ll need a magazine! 7. Water. In addition to water in a sippy cup or bottle, bring an extra amount of water along in case sand gets in your baby’s eyes. It is fairly typical that if you try to change a diaper on the beach, your baby will dump sand in her eyes. We’ve used saline eye drops in a pinch. 8. A washcloth. Wipes do nothing to get sand off. It’s best to brush it off while it’s dry with the washcloth or your hands, and then rinse with water if absolutely necessary. If you want to avoid this altogether, keep your baby in the dry sand, and just dust off. 9. Long-sleeve rash guard or full-body Kid’s Beach Romper and sun hat. 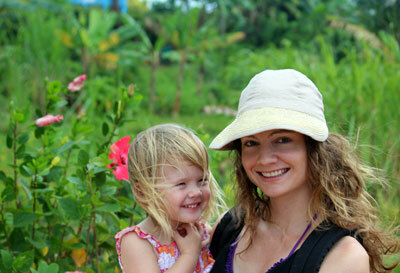 Find one with UPF, built-in sun protection. Take advantage of this time, before they refuse to wear something so uncool. 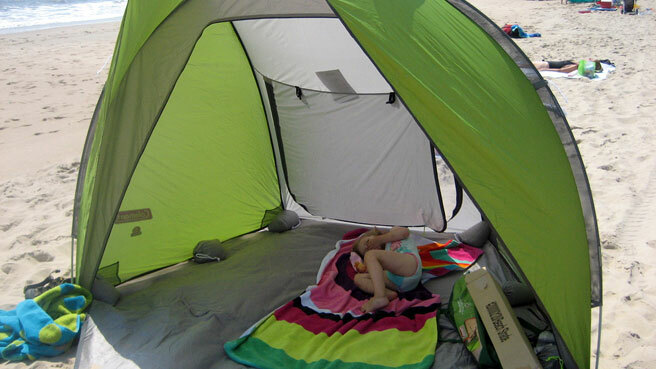 Pack all this stuff in your stroller’s storage compartment and just bring it on to the sand. The stroller can serve as a high chair and if placed right, throw some shade in addition to your umbrella.